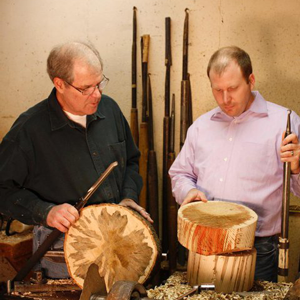 Philip Moulthrop and Matt Moulthrop, native Atlantans, are part of a family of three generations of wood turners using native southeastern woods to make elegant wood bowls. 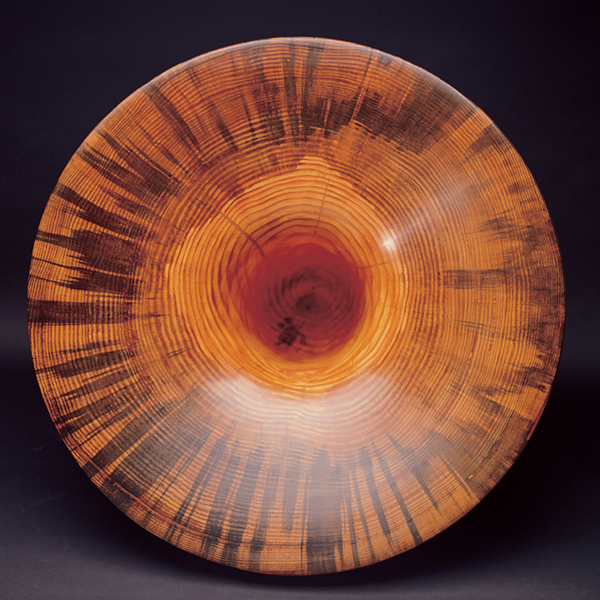 Ed Moulthrop, who died in 2003, was one of the pioneers of the modern wood art movement turning large scale bowls and bringing once-thought-of utilitarian vessels into museums. 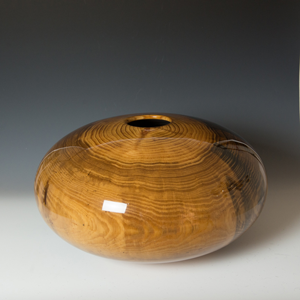 In an extraordinary partnership with the Atlanta Botanical Garden, Philip and Matt have created a special collection of bowls using wood from trees that were growing in the Garden. The Atlanta Botanical Garden worked closely with the Mouthrops to identify and locate pieces of wood with interesting characteristics, many species are new material for the Moulthrops like Caranday Wax Palm from the Fuqua Orchid Center and Wormy Japanese Maple from the Japanese Garden. This exhibition will feature 30-40 new works from the Atlanta Botanical Garden Collection, available for purchase, as well as exceptional pieces from private Atlanta collections. 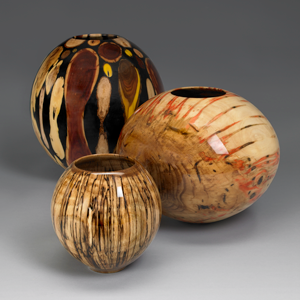 The Moulthrop’s work can be found in the permanent collections of institutions such as the Smithsonian Institute, the American Craft Museum of New York, the Carnegie Museum of Art and the High Museum of Art. This exhibition is included in Garden admission or free for members with current membership. It opens Saturday, Febuary 9, in conjunction with the Garden’s annual Orchid Daze exhibition – celebrating thousands of beautiful blossoms. Step inside the tropical warmth of the largest orchid center in the United States for a special exhibition of thousands of gorgeous orchids. Also featuring the award-winning photography of Parish Kohanim displayed among the blossoms in the Fuqua Orchid Center.